Beverly Hills Roofing Company | Beverly Hills Roofing Quote | Beverly Hills Roof Company | Beverly Hills Roof QuoteMcGlinch & Sons CO.
McGlinch & Sons is a family owned and operated roofing company in the Greater Metro Detroit area since 1917 providing honest and thorough free roof quotes for our customers. Our expert roofers will provide you with a detailed new roofing quote to help get your project started. We specialized in all aspects of roofing, and we are a certified Master Elite GAF roofing contractor. Don’t hesitate to call our professional staff, and we will provide you with a comprehensive roofing quote. 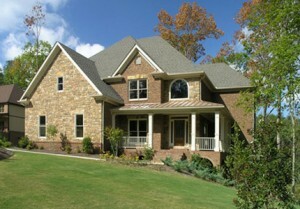 McGlinch installs quality new roofs that are cost-effective and competitive. If you are near Beverly Hills and need a roofing quote from a top notch roof company, contact McGlinch! McGlinch is a fully insured and licensed roofing company close to Beverly Hills. Beverly Hills is a village in Southfield Township, Oakland County, Michigan a suburb of Detroit. Beverly Hills is the most populous village in the state with more than 10,000 residents living there. Our Beverly Hills customers highly recommend McGlinch because we provide them with a reasonable roofing quote and great service. McGlinch is a roof company you can depend on with more than 100 years of experience. Get the quality customer service you deserve and a free new roof quote with competitive pricing from McGlinch. McGlinch has an excellent team of professional roofers who have over 90 years of combined roofing experience. Get your roofing quote from the best in the roofing company business. McGlinch offers a 25-year labor warranty on all roof replacements and a lifetime warranty on all roofing shingles. We go the extra mile for our customers. Contact the team at McGlinch to schedule your free no obligation new roof quote with one of our expert roofers who are fully licensed and certified. They will give you a precise and competitive roofing quote. Call McGlinch & Sons at (313) 278-2777 for a new roof quote or additional information about the services we have to offer.